Today in Parliament I condemned the Government for retrospectively changing the repayment terms for student loans, making thousands of Sheffield graduates pay back more. In a debate in Parliament, I criticised the Government’s plans to freeze the earnings repayment threshold at £21,000 for all graduates who have begun courses since 2012, which breaks their 2010 promise to increase the threshold every year in line with earnings. The government’s own figures show that a graduate with a salary of between £21,000 and £30,000 will have to pay £6,100 more over their lifetime than they would if the system to which they signed up was maintained. The debate was based on a petition against the changes which has over 130,000 signatures. Sheffield Central has the second highest number of signatories in the UK. 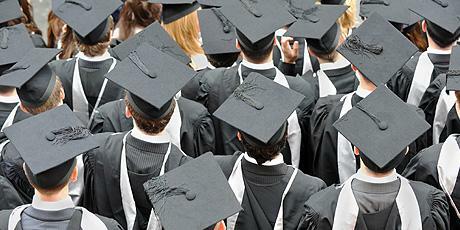 Through this measure Sheffield graduates are being made to pay for the Government’s mistakes. And to do so through changing the terms of the deal long after they signed up to it. If a second hand car salesman tried to get a customer to pay more than the contracted deal years later, they’d be referred to Trading Standards. If it was a bank, there’d be action by the Financial Conduct Authority. Why should the Government be subject to different standards? This is fraudulent behaviour. It undermines trust in Government. It undermines confidence in the student loans system. I urge the Minister to think again. I’m determined to make the case against this fraudulent behaviour in and out of Parliament, holding the Government to account for breaking their promises and slapping thousands of pounds onto already expensive loans.